A new rally aims to unite the Brests of Europe. 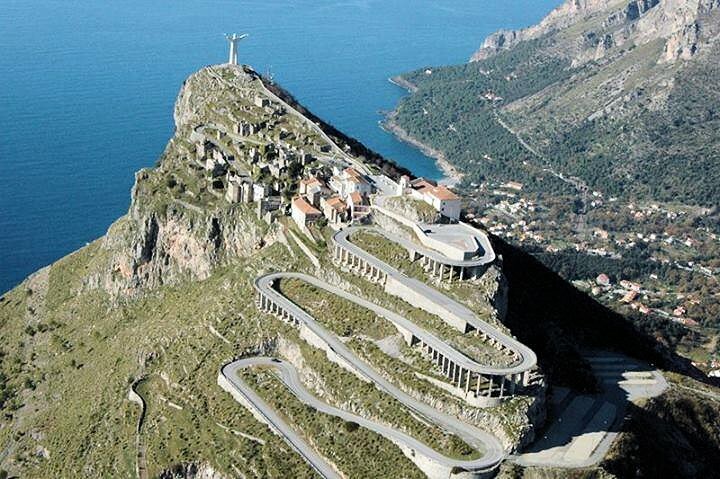 A snapshot of the winding road overlooking the ‘Pearl of the Tyrrhenian’ in Italy. The AA comes to the rescue of drivers unsure about European road rules. Italy looks at the Eurovignette. Finland fines a driver over a road kill incident, and P&O has a handy limited offer Dover-Calais. Scant details as yet about the upcoming east-west ‘Five Brests’. We thought Europe only had two Brests, the port on the western tip of France and the city just over border in west Belarus, the latter most notable as the site of the first battle in Operation Barbarossa in 1941. Actually it turns out there are five Brests in Europe counting the tiny municipality between Bremerhaven and Hamburg in north Germany, the slightly bigger district in central Poland (Brzesc Kujawski) and the village in east Czech Republic. Drivers will cover a distance of at least 2,250 miles depending on the exact route. Beyond that there isn’t much more information, like when the rally will run or what vehicles will take part. Watch this space. roundup: FINLAND. A taxi driver accused of ‘either deliberately or by gross negligence’ running over a hedgehog – a protected species – was fined €400 yesterday. Such cases are apparently rare. ITALY. It seems the regulations on the trucker’s Eurovignette have been transposed into Italian law, despite there already being a national road toll system. No word on why or when but worth keeping an eye on. DOVER-CALAIS. P&O is offering drivers a 10% discount on all crossing apart from day trips for all bookings made before 21 April and taken before 28 June. DRIVING. 31% of those surveyed didn’t know drivers need headlamp reflectors in France, and over half didn’t know they needed their vehicle’s registration document, says The AA. Happily they can sell you a kit – for the new cut price of £34.99 – containing everything you need, including an AA European Driver’s Handbook.